Metal finishing is performed to enhance the quality and aesthetic value of a metal. Electropolishing is a popular metal finishing process, which involves the refinement of metal surfaces by removing impurities. The CUBrite 500 polishing process system provided by HPI Processes, Inc. enables manufacturers to meet tough metal finishing standards for polishing, passivating, and deburring. The following are some of the benefits and features of electropolish finishing equipment – CuBrite 500. Modular construction provides the benefits of system flexibility and easy operation. Electropolishing is conducted in an enclosed processing area which ensures quality polishing and safety. These systems produce no waste, eliminating the cost of off-site hauling. 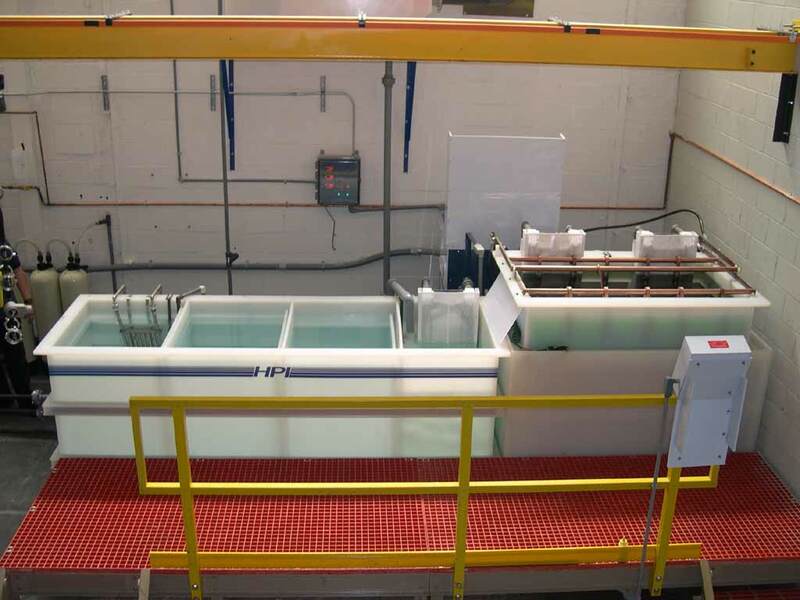 Electropolishing CuBrite 500 polishing process systems are designed to meet the requirements of electropolishing assignments ranging from simple to complex. Our extensive customer collaboration assures seamless integration into any work environment. HPI Processes, Inc. offers ongoing customer assistance, available upon request. If you have any queries about this product, our services, or any other products, please feel free to contact us. If you are considering placing an order don’t hesitate to Request a Quote.